RWS SUPER-H-POINT a smooth diabolo pellet with a hollow point. Due to its high deformation readiness, it guarantees very good penetration power and maximum shock effect with the game. Perfectly suitable for hunting airguns. 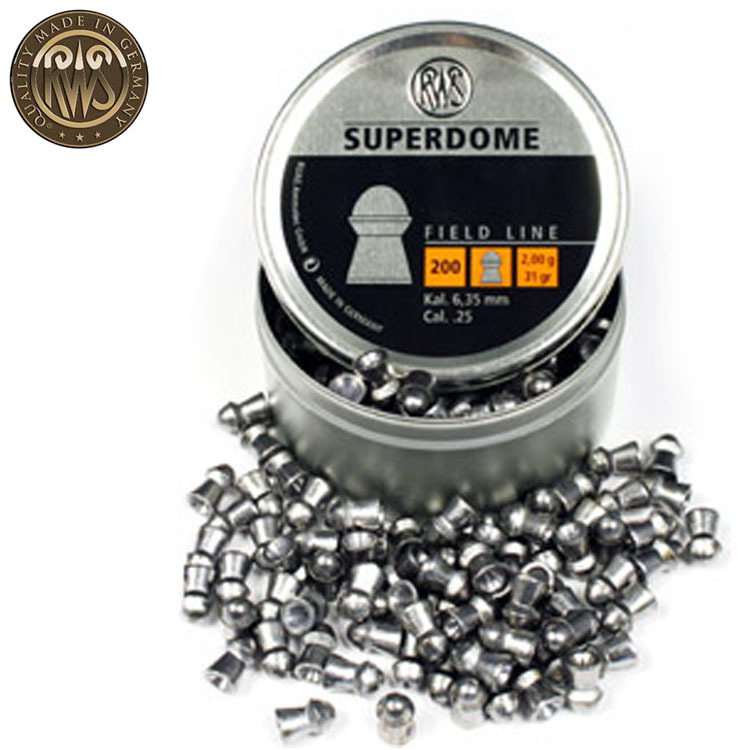 RWS SUPERDOME a pellet which has the so-called English bulldog shape with a round head. It is ribbed. Its shape of construction allows high penetration power and depth. 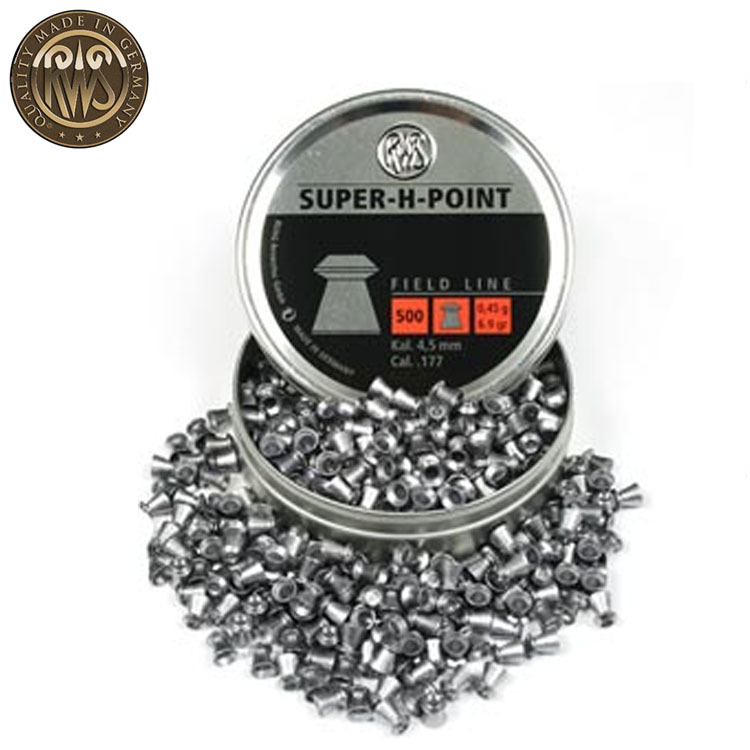 The pellet is convincing due to best precision even at long distance.This airgun pellet is suitable for spring-powered airguns and many weapons with compressed air cylinders (air tanks) for hunting. 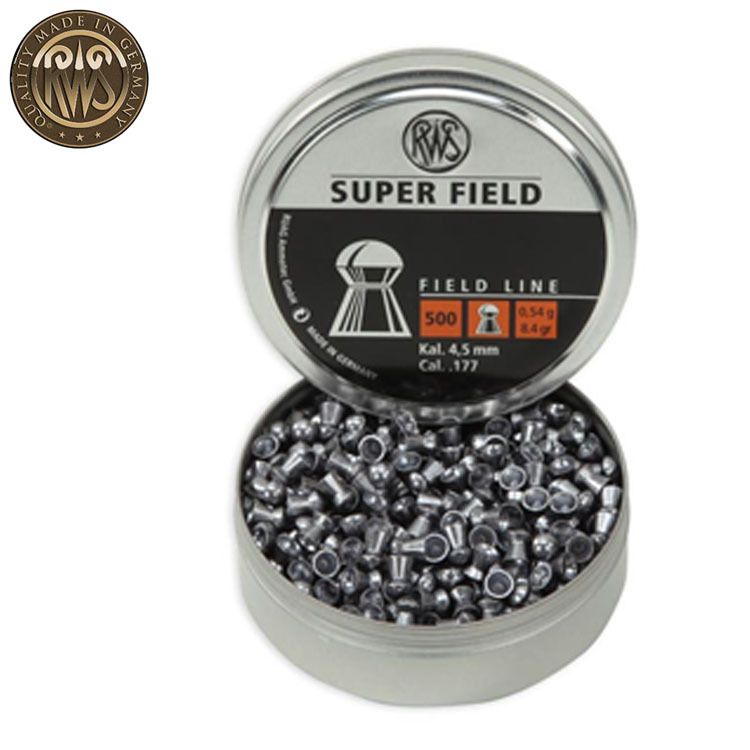 RWS SUPER FIELD a medium-weight airgun pellet with a round head, which can be specifically used with pre-charged pneumatic airguns. It is very accurate and powerful and achieves high penetration power and depth. For this reason, it is ideally suited for field target shooting and use in hunting airguns. 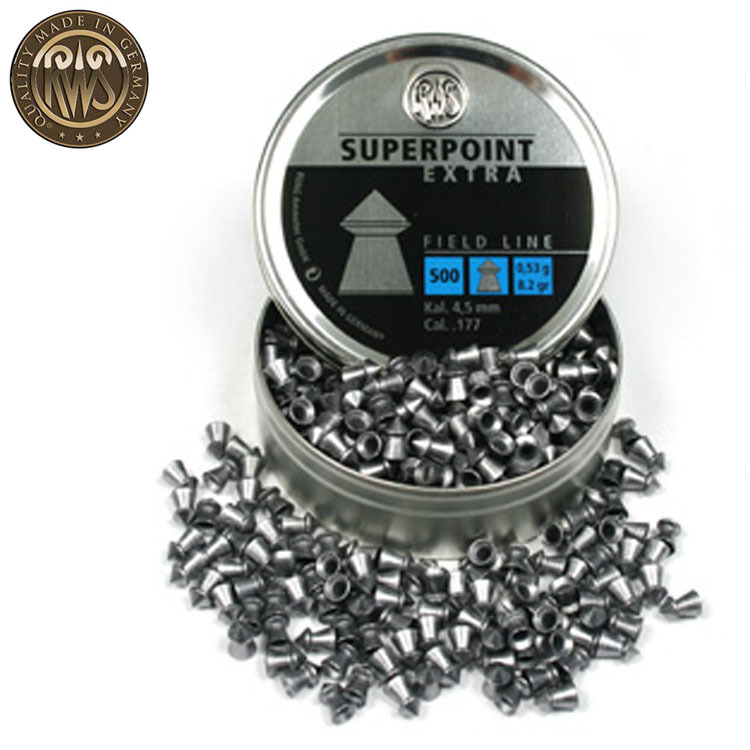 RWS SUPERPOINT EXTRA a medium-weight, smooth airgun pellet with a conical head shape. As a result, it achieves high penetration power and depth. 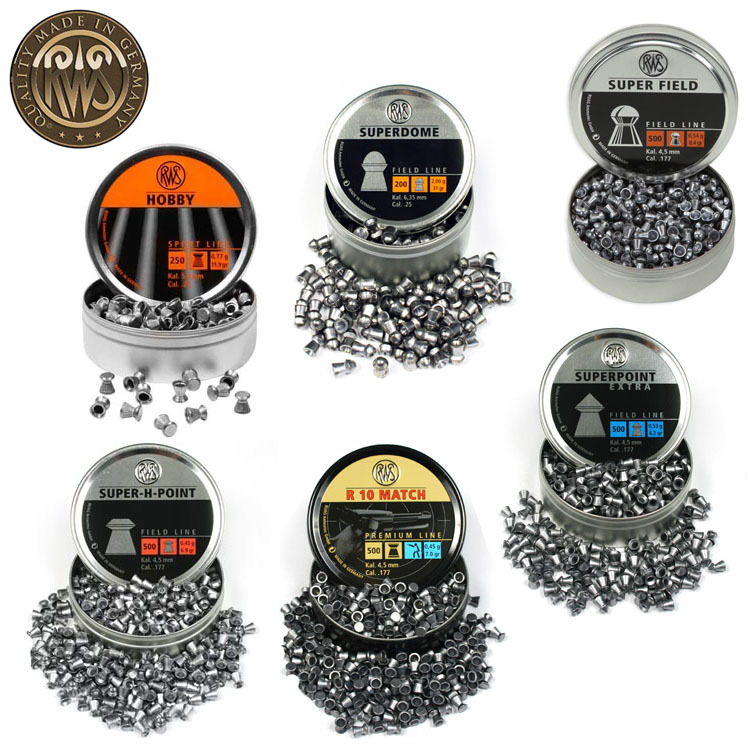 This makes it a very popular airgun pellet for hunting. The optimized weight distribution ensures high precision. Hobby a popular airgun pellet with ribbed tail section for ambitious hobby shooters. 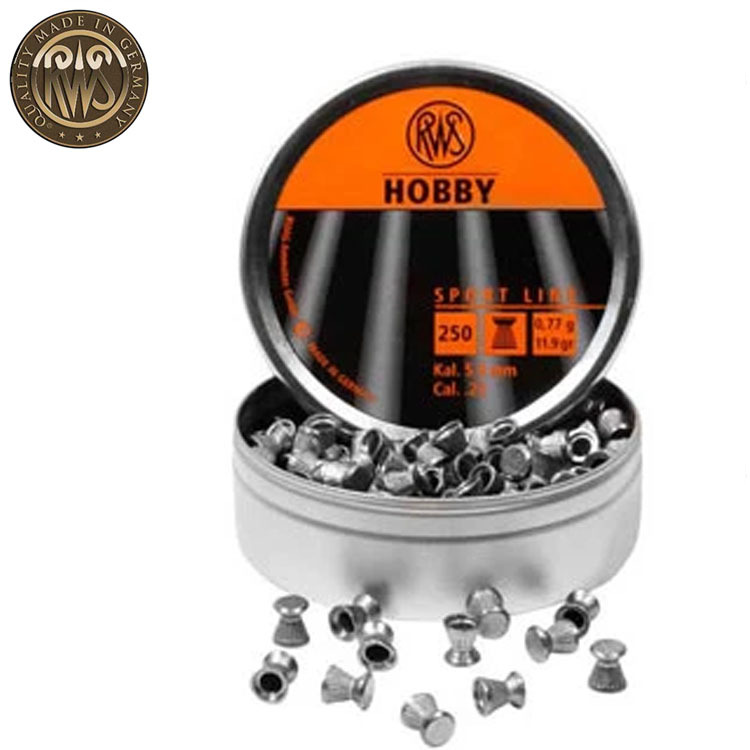 It is its combination of balanced properties and favourable price that make it so attractive.The RWS Hobby is also suitable for plinking and the hunting use. R10 Following intensive development work, RWS has introduced a special production and control process for the RWS R 10 Match pellets. 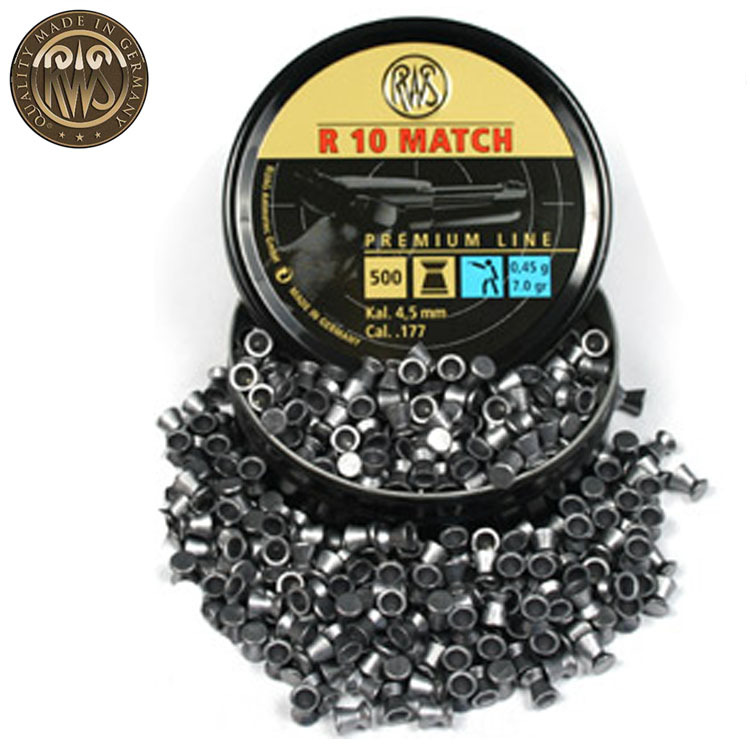 Selected material properties, tight production tolerances, professional shooting tests and careful packaging and identification processes all lead consistently to the new top quality of RWS R 10 Match pellets. The precise production guarantees absolute dimensional accuracy in length and weight.